In this article we are going to talk about the cosmic cycles of the planet, the precession of the equinoxes (and the photon belt), the magnetic grid and its energetic points, the nodes and the nulls, we are going to put several pieces of the puzzle together as everything seems to be moving now at god-speed. We recommend that you make sure to understand these concepts first before starting to read this article. I write this with my mind blowing, going in all directions at the same time. Thoughts about the magnetic structure of the planet, how it is being manipulated and how we can transform it. All reasons coming together, the pieces of the puzzle are exploding within my mind with vibrating recall, creating infinite thoughts flowing like there are tons of ideas on how we can create an entire new reality. 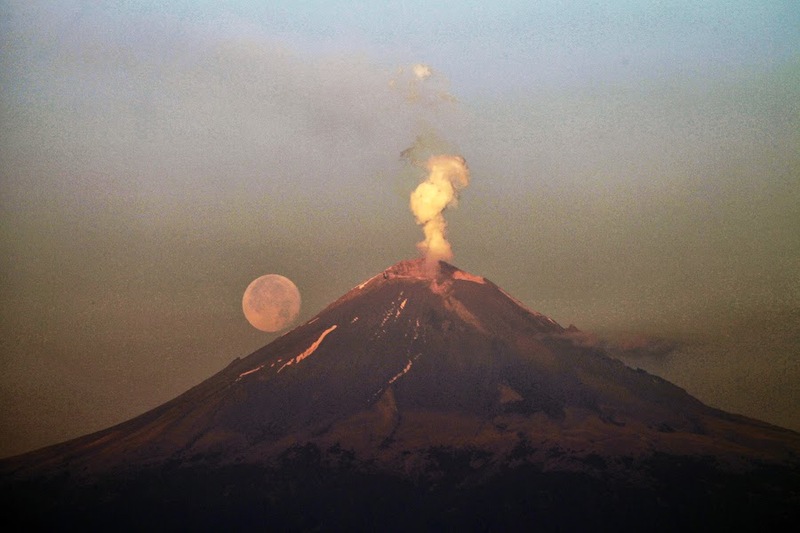 Let me clarify about the cycles and the precession of the equinoxes. 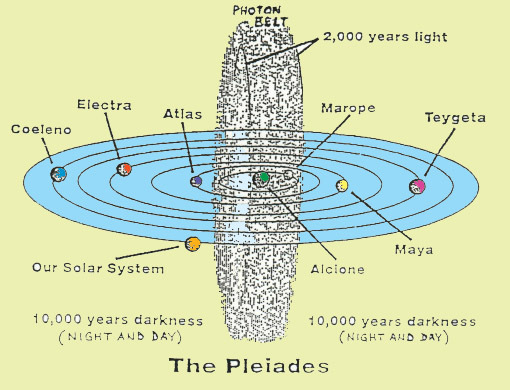 Our Solar System, is part of a larger system that is called the Pleiades, the Seven Sisters which are rotating around their Central Star, named Alcyone. Our Planet rotates around the Sun every 365 days, our Sun makes a revolution around Alcyone every 25630 years, and Alcyone makes a revolution around the Center of the Galaxy every 225 Million Years. On the 21st December 2012, we passed the precession of the equinoxes which marked the beginning of an entirely new cycle, the end of a revolution of our Sun around Alcyone, and the end of a revolution of Alcyone around the Center of the Galaxy (which are both respectively 25630 Years and 225 Million Years). At the end of these cycles, what is called the precession of the equinoxes, our solar system enters the photon belt, a magnetic doughnut of very dense photonic energy around Alcyone. At some level, we are very well placed in time to witness one of the greatest changes ever to occur. There are streams of sound frequencies spread through ancient structures, sacred sites, pyramids, military bases, placed on the planet on specific energetic points of the magnetic grid, to control and manipulate the collective consciousness. They used ancient sacred sites to stream lower frequencies into the crystalline grid, and now we are taking back control. The Eiffel Tower in France was used as an energetic antenna, a portal to spread fear-based energies into the crystalline grid. We know that the stone circles in South Africa are spreading such sound frequencies into the grid, but we do not really know if those were placed here with good intentions, or to spread fear-based energies. We know for sure that is this the case for all military bases and several other 'scientific' sites. Yet, right beside all the energetic points of the magnetic grid, we have the nodes and the nulls, the original crystalline templates of creation placed by the Pleiadians when they seeded humanity. The nodes and nulls of the planet are a part of the Gaia System, and are “hooked” into the benevolent design of the universe. 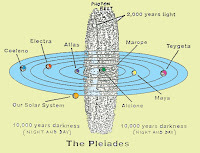 Long ago the Pleiadians looked at this planet and they selected 12 pairs of energy points. These would represent the duality of the planet. These 12 energy points are found at 24 geographical locations. A total of 24 nodes and nulls, on mountain peaks and in deserts, were selected to represent the parts of the planet that were the most promising. Most of these are crystaline caves hidden underneath the earth. They are time-capsules, which are now opening and spreading new energies into the crystalline grid. They play a very important role and they are automated to be used at our advantage when activated, to dissolve the fear energies being emitted by the old Annunaki structures. 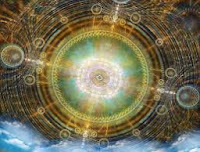 The Pleiadian time-capsules are opening, and we are experiencing an infinite stream of new information within the crystalline grid. This is entirely disabling the old energies. We are experiencing something grand just right now. New instructions for the new humans, for the new civilization. New technologies held as instructions within the magnetic grid, just waiting for sensitive human beings to pick it up, just like you would pick up cherries on a tree. Beautiful surprises coming from all over the galaxy. Now there isn’t anything that we can’t do as we passed the precession of the equinoxes and as we entered the photon belt, this magnificent energetic donut around Alcyone. The light is intensifying, and amplifying all good intentions, thus then disabling the old energies. We are entering higher and higher densities of light exponentially. Now there are infinite reasons to stand in our power to transform the old energies, to use all the knowledge at our advantage for the benefit of all life on earth, with zero effort and infinite efficiency. Because we can transform the entire magnetic grid of the planet, with the power of a single thought. And because we dare thinking about it, considering possible the impossible, we have infinite power, and infinite potentialiy. We intuitively know what to do, and what’s next. We can put an end to all lower streams that are placing fear-based / war / suffering / drama energies within the crystalline grid, simply by the single power of our consciousness, because we are infinite beings and as it is now time for this to come to an end. We know of the portals, we know how the sacred sites are being used to spread sound frequencies to keep the grid in lower vibrations. And we also know how to stop it, how to end it once and for all, and transform it into new transmitters of love frequencies, transmitting new information and new energies of peace, prosperity and freedom for the entire human family. That is why we are here and that is our mission, and there is no way we can fail, because we are god in the flesh, and that is the reason for our presence here. Transform the crystalline magnetic grid, because we all are masters and we already intuitively know how to do it. With the power of a single thought, with infinite trust and confidence, with zero effort and infinite efficiency. That is who we are and that is the limitlessness of the creative spark within each of us. There are no more limits, as the light intensifies within the crystalline grid, nothing can hold us back anymore. We have infinite power of creation. We have no limits. We can disable every weapon on the planet simply through the power of our consciousness, we can bring peace to the entire planet with infinite ease and zero effort. Now what. The mind explodes in all directions. Or reverse-plodes (all coming back into one piece, no more separated). There is only one infinite mind. The mind of the entire macroflower-fractal of all existence, absolute within all life. Infinite power of creation through thoughts, emotions, wisdom, power and love. Through sounds, frequencies, and vibrations. Through the portals that we open, through our ceremonies, through what we believe we can accomplish, through how far we can go in our thoughts. How far can we go in our thoughts and imagination, will determine how much we will be able to accomplish with the power of our consciousness. And now, we become an infinite force of creation, for the benefit of all life, simply by the power of this decree. Simply because we cognize it to be this way. We are an infinite portal of love, because there is nothing else we know how to be. That is our true nature, infinitely spreading love within the entire crystalline grid of the planet. And by our presence and infinite thinking, all is changing with higher and higher intensity. Nothing can be stopped now, as the snowball is rolling deep, bigger and bigger. The lower realities are simply dissolving without any way to escape. Good bye magnetic control, hello new information, hello new energies. Thank you for taking back your Power! Unbroke the Red Fire stood, and nevermore shut, shall it be. You are Grand Magnificent Beings. May your Untrembling Wills of Love pour like a Deathless Fire that Flourishes the Infinite & Eternal Light within Every Human Hearts.